Confederation of Zimbabwe Industries (CZI) president, Sifelani Jabangwe says local banks continue to reject government's 99-year land leases as security for loans. 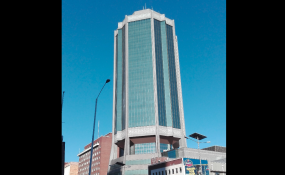 Jabangwe told NewZim Business on Monday that financial institutions were rejecting land based loan applications made through 99-year leases by some industrialists. "Despite getting 99 year leases from government, most of our members are still struggling to get access to credit on the basis of these documents because most financiers still deem them as not legally acceptable. "While government claims that it has been engaging the financial sector over this, the reality on the ground is opposite," he said. Jabangwe urged government to bring finality to the 99-year-leases by engaging in further dialogue to establish the reasons why banks were still reluctant to extend any loans using the agreements. He raised concerns over continued farm disruptions and land invasions especially in tea, sugar, forestry and corporate farming. Javangwe also urged government to reconsider sensitivity to the demographics especially women and youths in land allocation. "In turn, this is affecting the smooth flow of business as investors are failing to unlock capital from financiers due to lack of legally acceptable entitlement," he added. Recently, Finance Minister, Mthuli Ncube told a recent business meeting that government was sitting on dead asset in terms of the land due to the confusion around 99-year leases. "There is still some work to be done to close that hole. That needs to be sorted out because we have to create enough comfort in terms of property rights for the banks to extend credit to the farmers on the back of those 99-year leases," he said. The treasury boss said that he was working closely with banks on few clauses of the lease agreements to bring finality to the controversial matter.